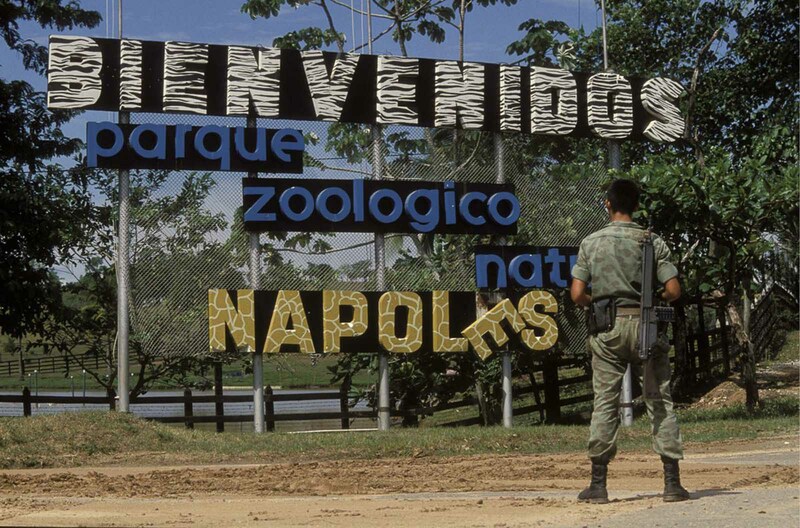 Situated halfway between the city of Medellin and Bogota, the Colombian capital, Hacienda Napoles was the vast ranch owned by the drugs baron Pablo Escobar. 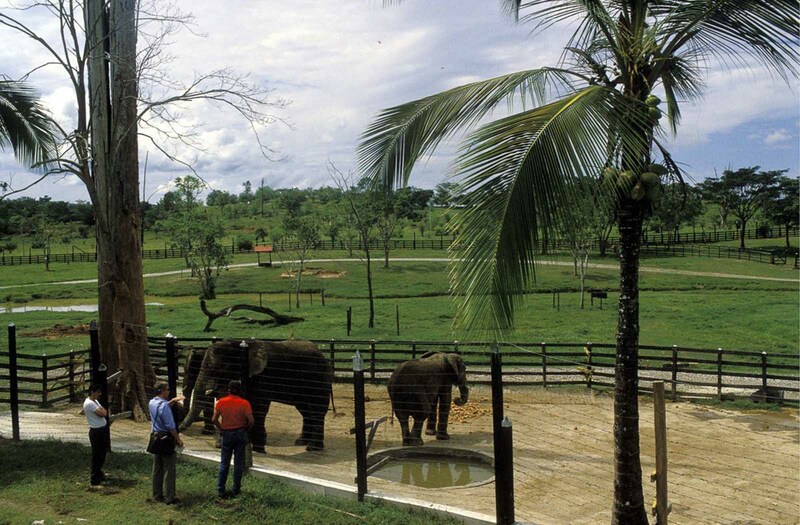 In the early 1980s, after Escobar had become rich but before he had started the campaign of assassinations and bombings that was to almost tear Colombia apart, he built himself a zoo. 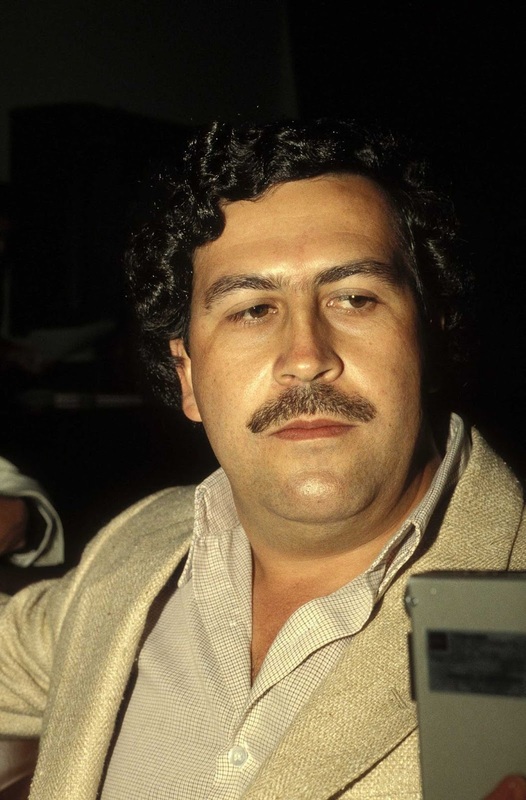 At the height of his power, Escobar was estimated to be worth more than $30 billion. 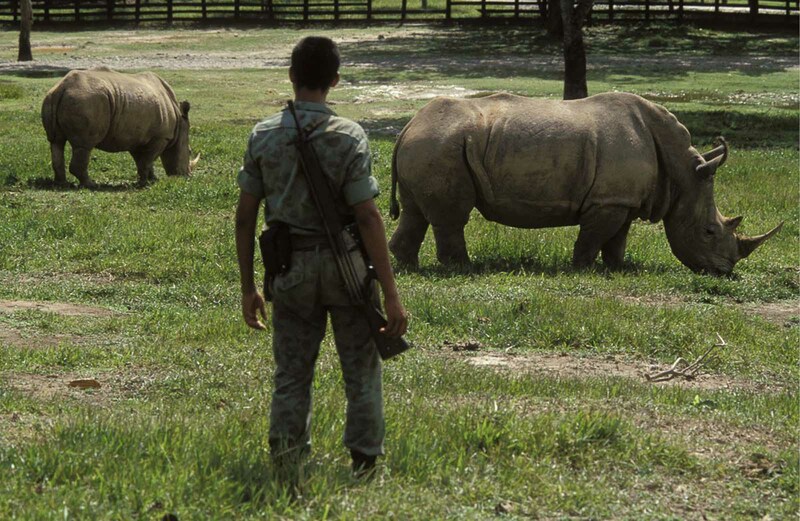 He smuggled in elephants, giraffes and other exotic animals, among them four hippos – three females and one male. And with a typically grand gesture, he allowed the public to wander freely around the zoo. 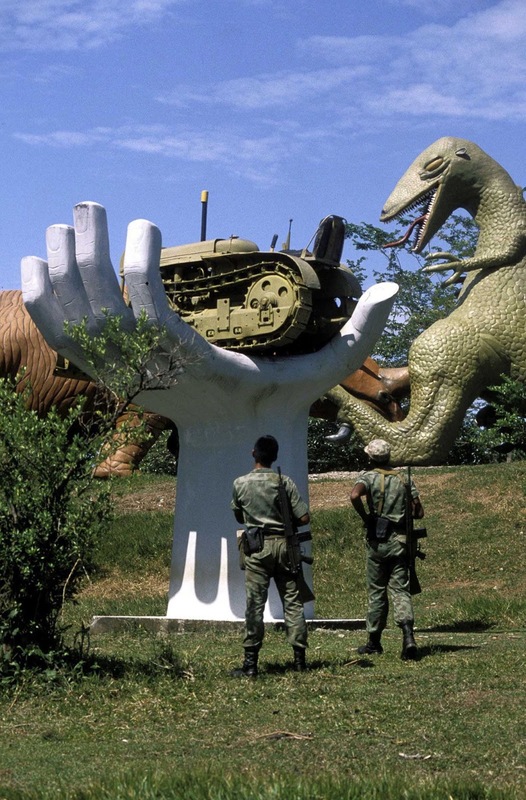 The entrance was decorated with a Piper airplane identical to the one used by Escobar to fly his first shipment of cocaine to the United States, and the grounds were populated with statues of dinosaurs and other creatures. 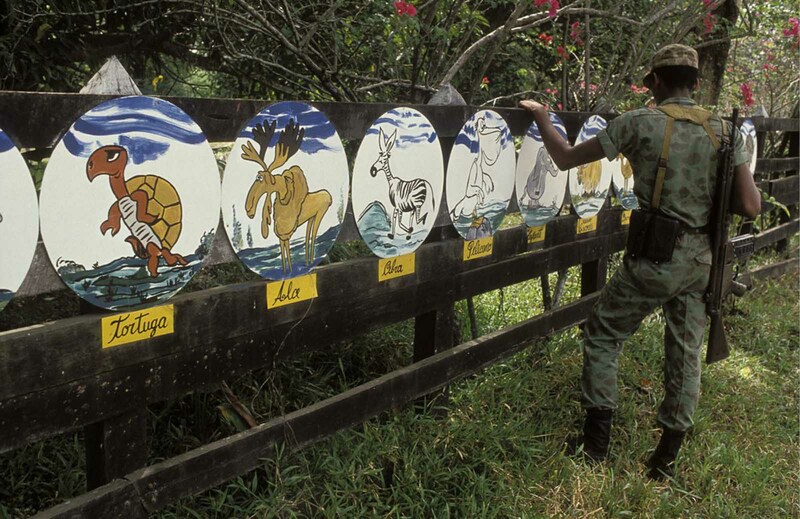 When Hacienda Napoles was confiscated in the early 1990s, Escobar’s menagerie was dispersed to zoos around the country. But not the hippos. For about two decades, they have wallowed in their soupy lake, watching the 20sq km (8 sq mile) park around them become neglected and overgrown – and then transformed back into a zoo and theme park, complete with water slides. All the while, the hippos themselves thrived, and multiplied. Nobody knows how many there are. The local environmental authority, which bears responsibility for them, estimates between 50 and 60. In 2014, a “Jurassic Park”-style African theme park was operating on the grounds, which have been rented by a private company. 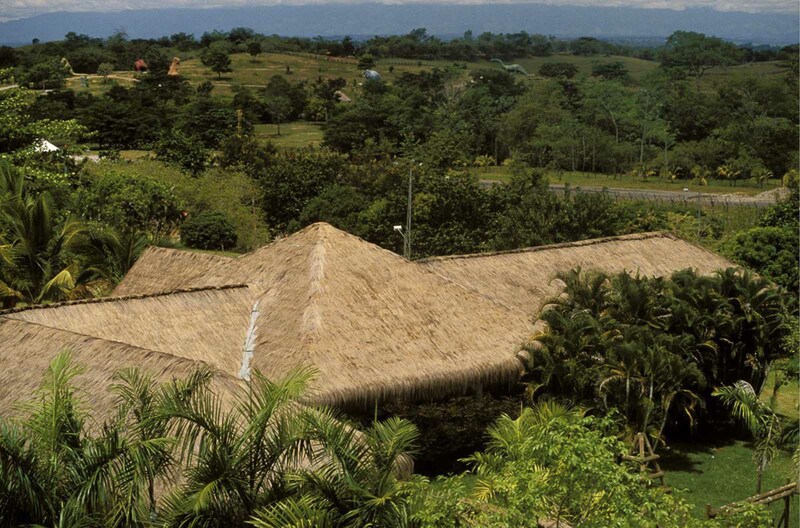 “Parque Temático Hacienda Nápoles” comes complete with a water park, a guided safari attraction, aquariums, and a replica of the caves in Colombia’s Cueva de los Guácharos National Park. 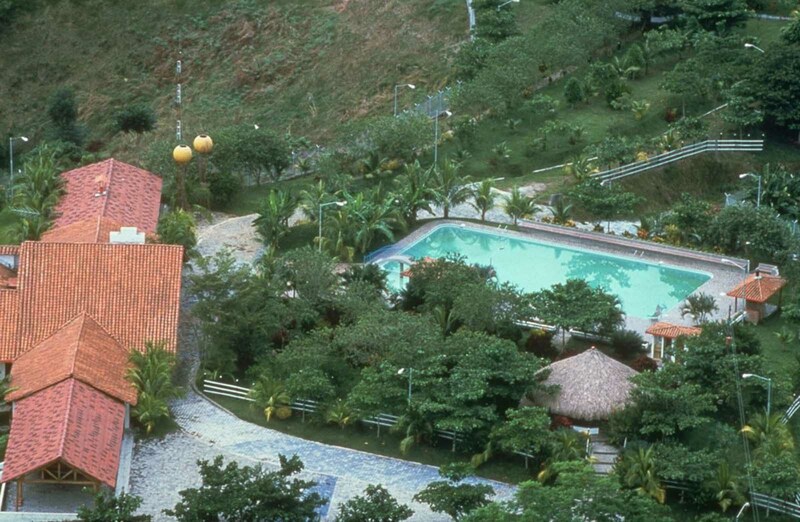 The Escobar museum, his burned private car collection, and the abandoned “ruins” of his house are still publicly accessible, but are reported to have collapsed in February 2015. Pablo Escobar at the height of his power. 1988. 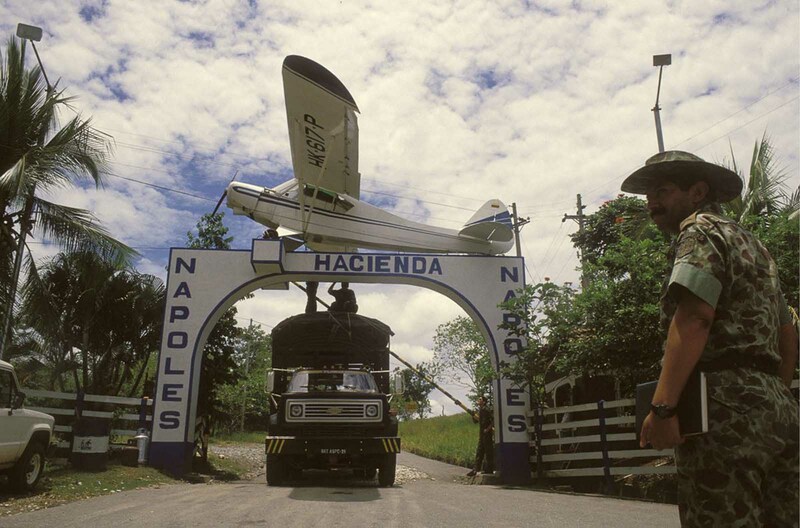 The entrance to the hacienda is decorated with a replica of the Piper airplane, which transported Escobar’s first shipment of cocaine to the United States. 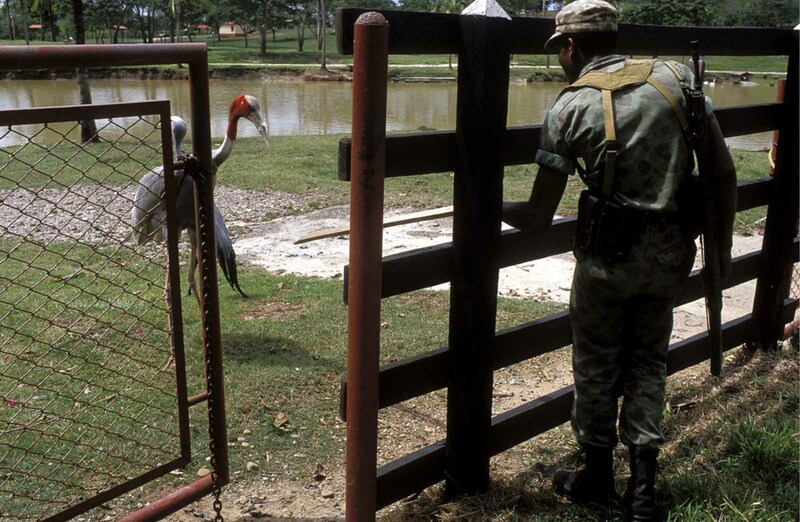 A soldier inspects one of the paddocks at the hacienda’s zoo. The elephants of the hacienda. 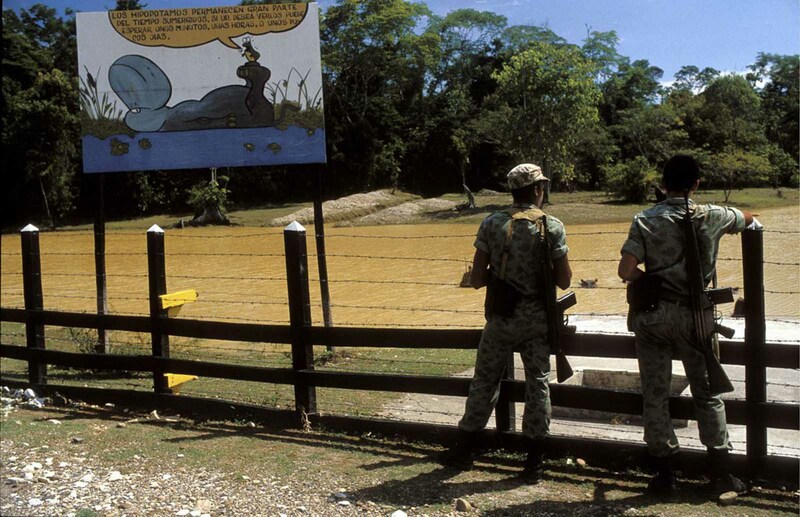 A sign welcomes visitors to the hacienda’s zoo. (Photo credit: Eric Vandeville / Gamma-Rapho / Getty Images).